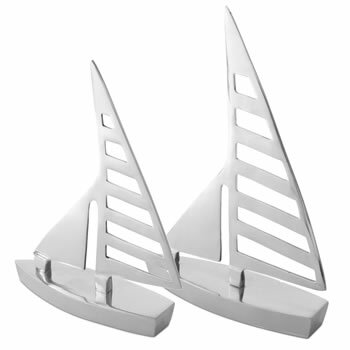 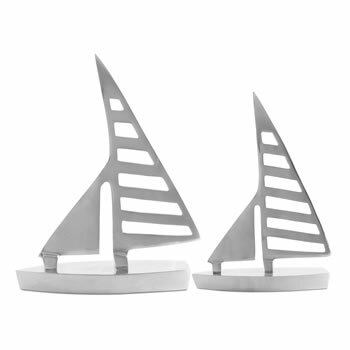 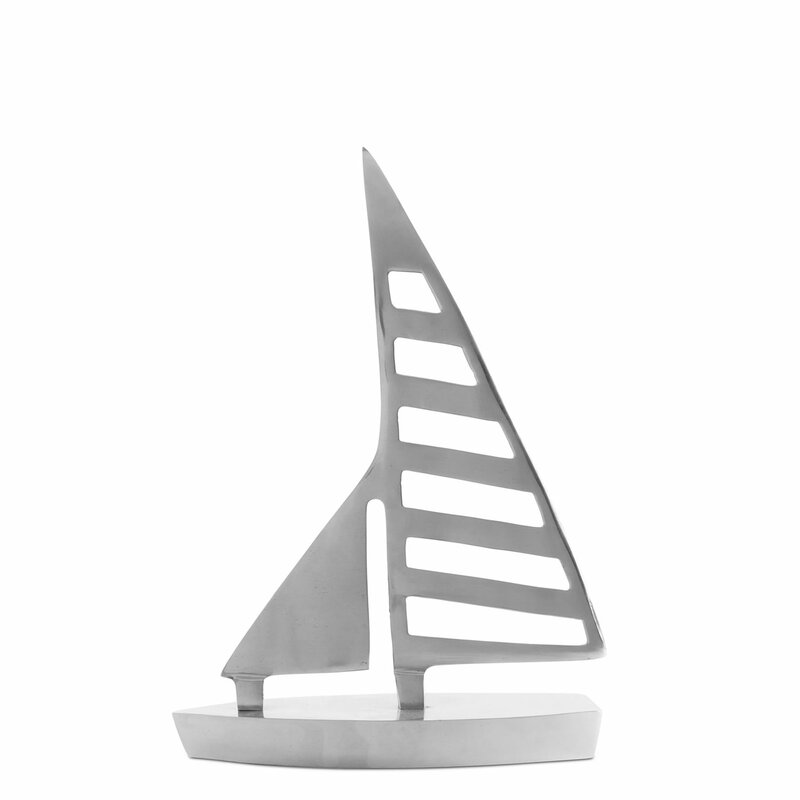 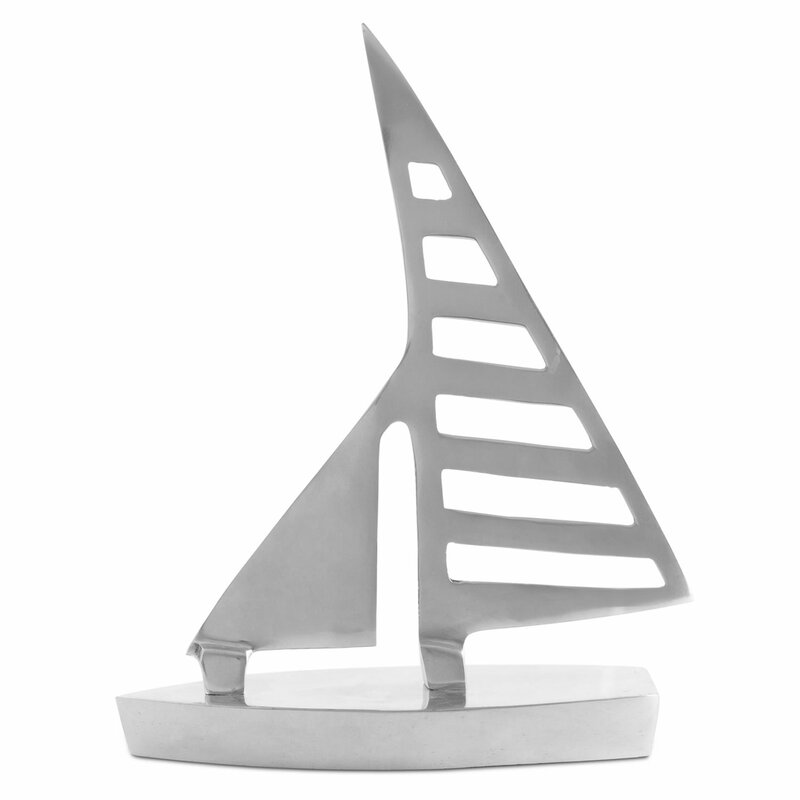 A pair of aluminium sail boat ornaments for the home, a great addition to the bathroom or any nautical themed room! Made with a stylish and contemporary design, these are polished to add an eye-catching reflective feature to shelves, windowsills and more. One of each size included in the set, small: H24 x W19.5 x D5.5cm, large: H32 x W23 x D6cm.